One thing that has been a constant factor and trend is that every time new technology revolution brings disorder to the world, then it initially only always benefits a small percentage of people at the forefront at the expense of other individuals. Later on in time, people started achieving protections as soon as the society and the law caught up with this pace and change; you could now witness workers’ rights, improved safety in workplaces, limits to the number of working hours, and even more. This is currently a length of wealth concentration of a specified group of individuals which has not been seen in living History, at least only comparable to the levels seen in the 20s. In fact, you might even start to think that the industrial revolution has overwhelmingly been a good thing for the world as well as our current standards of living. But then, if you look at all the decades of pressure and action that the government attempted to make to ensure that these benefits were widely shared, if not evenly. You might say that this is a lesson to all people in the modern era. 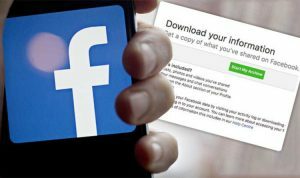 And with the current information age revolution, we can now tell why and how the ramifications that Facebook currently has goes far wider and broader than most people might think. 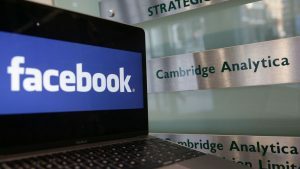 Now, you may be thinking how Cambridge Analytica managed to harvest data of over 50 million users on Facebook mainly from the United States. 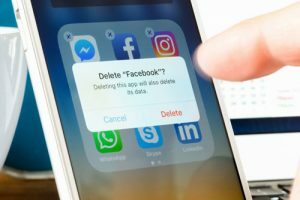 And this occurrence alone has since then sparked a long and overdue public debate that discusses how Facebook and all the other internet giants collect, package, and even handle the data that they collect from the millions of users that interact with these sites. These internet tech giants have managed to amass so much wealth from the general public that seems unbelievable. With the vast amount of money rolling into these sites, you would begin to wonder just how your personal information is being used and why it is being collected in the first place. Alphabet is currently valued at over $ 720 billion within the span of 20 years that it has been in business. And Facebook, which is currently celebrating its 14th birthday, is valued at over $475 billion even after it took all that pummeling all week. If you look at it from this point of view, you will start thinking of just how much this level of wealth concentration has impacted our daily lives aside from the fact that it has never before been witnessed in living history. These facts alone made Cambridge Analytica ask some serious questions which it needed to be answered on how these websites use these personal information data that they harvest from their users. And Facebook is already acknowledging the fact that it has got a lot of explaining to do when it comes to how it’s collecting and using the data.